The Dodge RAM 1500 is an all-purpose truck with a long history of reliability. Whether you’re headed for a weekend getaway at the Rocking S Ranch or using the truck for transportation to and from work, the RAM 1500 is sure to meet your needs. This well-established truck has many features to choose from, including a wide variety of body styles. The crew cab is ideal for a family and can seat up to six adults. This multifunctional RAM 1500 has the ability to tow thousands of pounds, making it an ideal truck for workers. You can also choose between a gas or diesel engine, depending on your preference. With a variety of options for trims, engines, and cabin sizes, the RAM 1500 helps customers customize their ideal vehicle to cater to their specific needs. 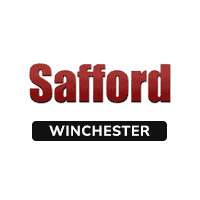 Come visit Safford of Winchester today to see our selection! The RAM 1500 is already a legendary favorite, but with the 2018 RAM 1500 version comes two new, luxurious editions: the Limited Tungsten Edition and the Harvest Edition. Like many high-volume truck companies, RAM sells special edition models for different types of buyers. The 2018 RAM 1500 Harvest Edition is specifically designed for farmers while the Limited Tungsten Edition consists of ultra-premium features. The agriculture-oriented Harvest edition is available in all four-door configurations and offers heated front seats that are perfect for early mornings or cold weather. If your goal is luxury, opt for the Limited Tungsten Edition as it comes with a frost/indigo nice leather interior, body-color door handles, a sport performance hood, and sport LED taillights. Along with the special edition models, there are nine trim levels to choose from: Tradesman, Express, Big Horn, Rebel, Sport, Night, Laramie, Laramie Longhorn, and Limited. The 2018 RAM 1500 lineup is incredible! The RAM 1500’s base engine is a 3.6-liter V-6 and a backup camera is now a standard feature on every model. Some of the available technology features include Android Auto, Apple CarPlay, SiriusXM, GPS Navigation, Bluetooth, and a remote USB port. The Safety features include front/rear park assist system, rear back-up camera, electronic stability control, side curtain airbags, and tire pressure monitoring. With these new additions and features, the 2018 Dodge RAM 1500 continues to remain a quality, light-duty truck. Although the Dodge Brothers first began pickup truck production in 1917, it wasn’t until 1981 that the RAM name was first used. A RAM’s head hood ornament was used in 1933 to characterize the truck, but the symbol was later dropped in the 1950s. The first-generation Dodge RAM trucks were designated as 150, 250, and 350 to denote their capabilities. It wasn’t until 1994 when they were changed to 1500, 2500, and 3500. 150 represented a half ton, while 250 and 350 represented three-quarter ton and 1 ton, respectively. Dodge pickups have always had a variety of cab and bed configurations. The third-generation debuted in 2002 and Dodge RAM sported a larger grill, new interior, new frame, and all new suspension. The fourth generation was released in 2009, featuring the new crew cab model as well as more style, luxury, and performance. The trucks sold under RAM have won the ‘Truck of the Year’ award more than five times. These design changes continue to have a great impact on the fourth and current generation of new models. Although the last redesign was in 2009, many agree that the RAM 1500 has aged well. Throughout the years, RAM has gone through some changes but has continued to produce the same quality truck that keeps their loyal fans coming back for more. Call, email, or come visit Safford of Winchester in Winchester, Virginia for great deals, including many options for the Dodge RAM 1500. We have a large selection of RAM 1500 models to choose from. We also have multiple special programs to choose from and a variety of New Vehicle Incentives. Be sure to check out our New inventory as well as our Used inventory! We also offer a Featured Vehicle section, as well! Residents in Gainesboro, Hayfield, and Jordan Springs can agree: we are happy to help you find the automobile that’s the perfect match for you! Still not convinced? Check out our Video Testimonials and Video Gallery. We are located at 1659 BerryvillePike Winchester, VA 22603. Need an oil change or tire rotation performed on your vehicle? Safford offers a variety of deals, so take advantage of our Service Specials!